To be sold in China from early next year. 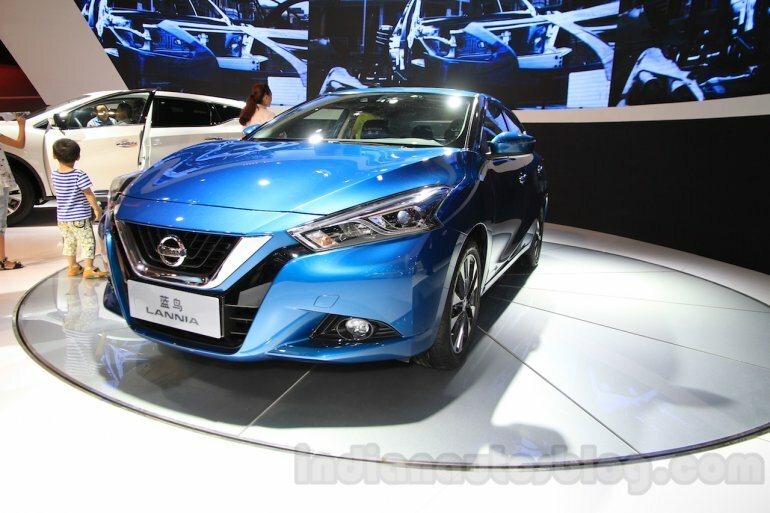 Nissan showcased the 2016 Lannia at the 2015 Chengdu Motor Show (CDMS 2015). 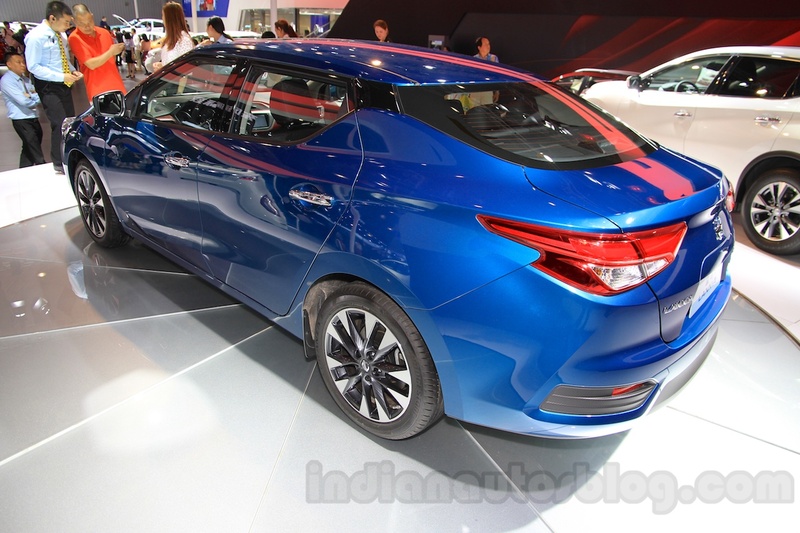 This is the production version of the Lannia Concept that was showcased at the 2014 Beijing Auto Show. The Lannia has dimensions of 4,683 mm, 1,780 mm and 1,465 mm in length, width and height respectively with a wheelbase of 2,700 mm. It was designed by the Nissan China Design Center (NDC) and Nissan Global Design Center (NGDC) and was named ‘Lannia’ which in Chinese means ‘Bluebird’; this is also the colour seen on the car that was showcased. The body has a very edgy look with curves and creases seen all over the exterior. The front end gets the V-Motion grille, distinctive sleek headlights with LED DRLs and circular foglamps embedded in a gloss black housing. The side sees stylish dual-tone alloys, floating roof and a beltline that crests at the C-pillar and then makes its way to the boot. 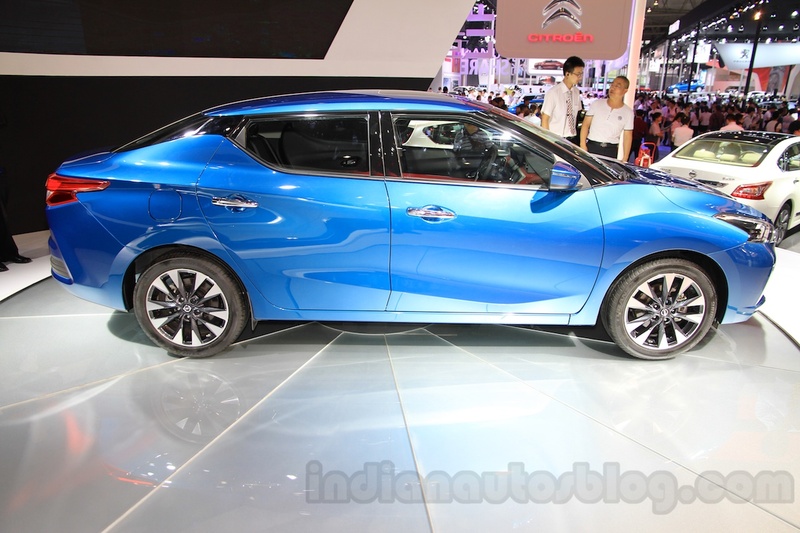 The rear has big wraparound tail lights and the license-plate holder positioned at the lower portion of the bootlid. The interior is just as interesting with a black and red dual-tone layout. The dashboard is slanted towards the driver to give the feeling of a driver-oriented cabin while the sporty aspect is further conveyed by the three-spoke flat-bottomed steering wheel. Audio and smartphone connectivity is taken care of by the 7-inch infotainment screen placed at the top of the center console. The Lannia will hit the Chinese market early next year and only one engine is expected to be available at launch. 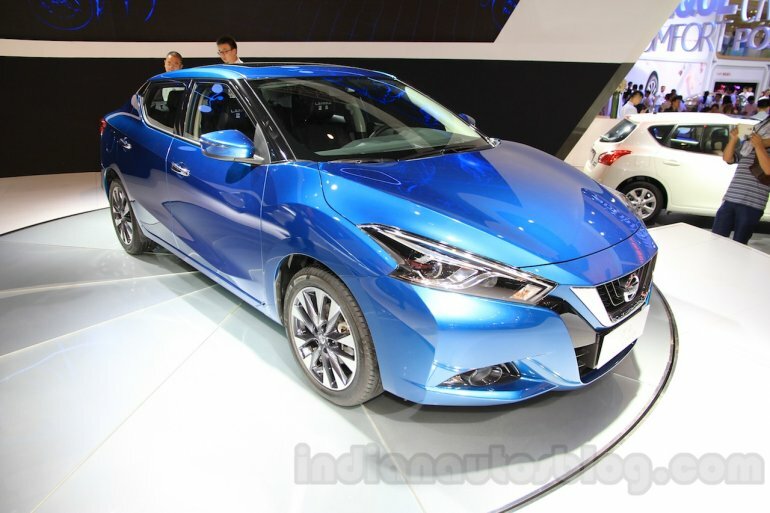 It will be a 1.6 liter four-cylinder petrol unit capable of 126 bhp mated to a 6-speed manual or a 6-speed automatic gearbox; a 1.8-liter engine is also likely to join the lineup at a later date.